Governor Palin was interviewed for a talk show called "On the Couch with Koel" while she was in India. Mark Levin to Conservatives on Libya - "Come on boys and girls, let's get our thinking straight"
Personally, I'm fine with us going in there and blowing up Mr. Creepy Face. But I hope we stick to doing it from the air. Enforce the no-fly zone, and that's it. In the first two years of Obama's tenure, diplomatic relations between the Jewish state and the US have been tense because of disagreements over the peace process with the Palestinians. That makes prospective Republican challengers in 2012 even more attractive to leaders of Israel’s ideological right wing. During a tour of Israel a month and a half ago, Mr. Huckabee visited Jewish settlements in the West Bank with the figures from the Yesha Council, the umbrella leadership of the settlers. Yesterday, Palin toured the Western Wall tunnels in Jerusalem’s Old City with parliament member Danny Danon, a staunch advocate of the settlers. "We have a lot of common ground,’’ said Mr. Danon, a member of Netanyahu’s Likud party. "It is more important to have more Republican leaders coming to Israel and learning the issues with their own eyes. Leaders like them who support Israel unconditionally make for a great asset. We should support this relationship." Former Alaska Governor Sarah Palin concluded her visit to Israel on Monday by visiting Prime Minister Binyamin Netanyahu and his family. The Palin couple arrived at the Prime Minister’s official residence for a dinner which was defined as personal rather than political and was based on the Israeli cuisine. Palin, who is known for her uncompromising support for the State of Israel, told Netanyahu and his wife, Sara, that she was received warmly by the Israelis and also told them all about her tour of the country, which included seeing sites in Jerusalem (such as the Kotel)and the Dead Sea. In most places, Palin saw firsthand the atmosphere of the holiday of Purim, and the Netanyahu couple told the potential candidate for President of the United States all about the Book of Esther and the traditions of Purim. Sarah Palin apparently had second thoughts about crossing an Israeli checkpoint on Monday to visit Bethlehem during a three-day visit to Jerusalem. The former governor of Alaska pulled up to the checkpoint run by the Israeli border police to the south of Jerusalem in a white people carrier, with her husband, Todd, her assistant and Israeli guides. None of the occupants left the car nor did they speak to the police officers at the checkpoint, according to photographers at the scene. They then turned around and drove away. A spokesman for the Israeli police said there was no incident at the checkpoint and a spokesman for the Israeli army said that Palin's group had not co-ordinated a visit to the occupied Palestinian territory. Palin's group then stopped at a nearby Greek Orthodox monastery before returning to her hotel in the centre of west Jerusalem from where they later continued their tour of the city. Tourists need to carry passports to cross checkpoints into the occupied Palestinian territory and Israelis are not normally permitted to enter areas controlled by the Palestinian Authority, such as Bethlehem. From the checkpoint Palin would have been able to see the high concrete walls that separate Bethlehem from Jerusalem. Second thoughts, or since they hadn't talked to the Israel army to co-ordinate a visit, it's possible that there was no intention to go any further in the first place. "There's Bethlehem. There's the wall. Okay, now let's go see the rest of the country." Profile of Palin's tour guide here. Palin apparently plans to go back to Israel for a full week soon. Former Republican vice presidential candidate Sarah Palin and her husband Todd concluded their brief first visit to Israel on Monday by meeting Prime Minister Binyamin Netanyahu and his wife Sara at his official residence in Jerusalem. Ahead of the meeting, Netanyahu’s office checked with Palin to see whether they could expand it to a full reception for her with other politicians and aides, but she politely declined. In an effort to keep her visit as private as possible, Palin also declined all requests for interviews and did her best to avoid the media as she toured the Mount of Olives and Christian sites in Jerusalem on Monday. Palin was due to leave Israel early Tuesday morning. In private conversations, she vowed to return soon – for a full week – and said she would meet with more politicians and the media then. 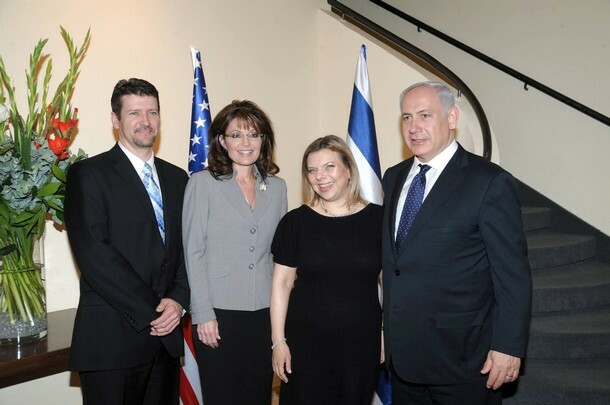 J Street officials, who are in Israel for a meeting of the Knesset Diaspora Affairs Committee, complained on Monday that Netanyahu had refused a request to meet with them but had chosen to meet with Palin. 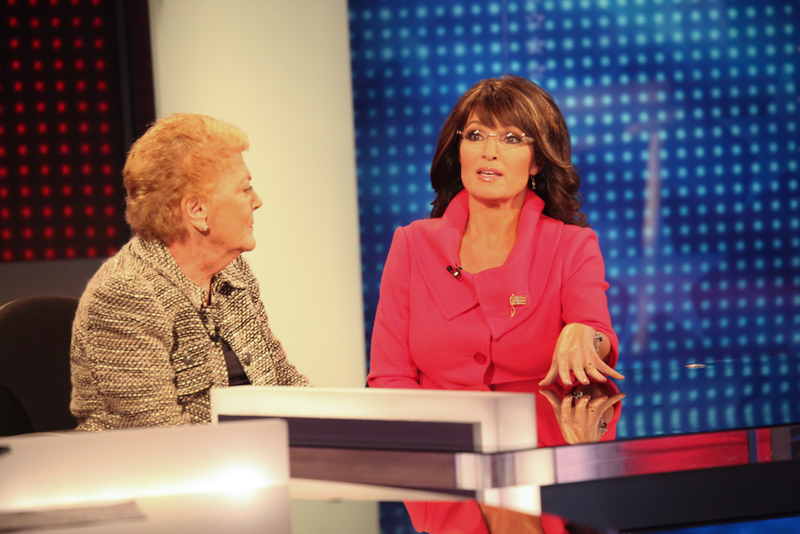 Sarah Palin and I discussed U.S. policy in the Middle East peace process and Netanyahu’s upcoming political speech. On this topic I asked Palin to move the blame from PM Netanyahu to Abbas' leadership. “A leadership in which people can cut the throats of children in their sleep, it is that leadership that must prove that you can make peace with them. Obama's pressure on PM Netanyahu is hurtful to Israel and its citizens. " Someone also snagged a pic of Palin and posted it via Twitter. 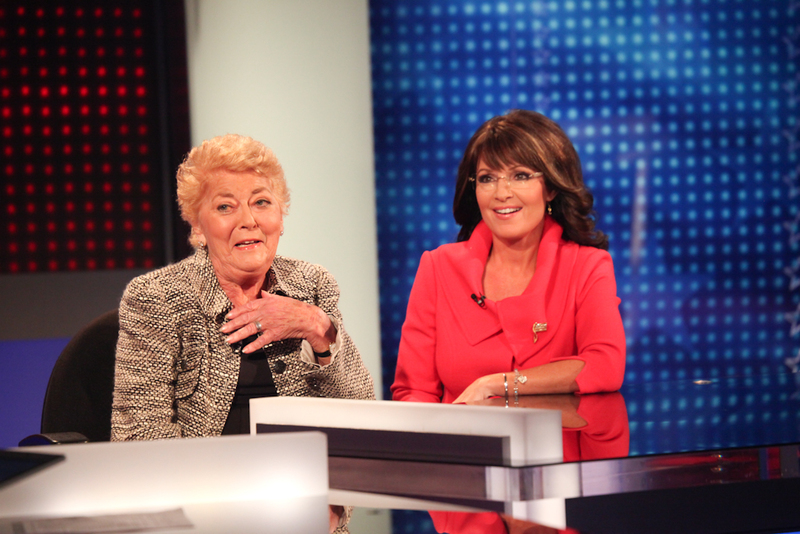 Palin told them she wouldn't be able to visit Nazarath or Bethlehem during her brief stay, but promised to be back. The U.S former vice presidential candidate was later seen heading to Bethlehem when her vehicle suddenly turned around at an Israeli checkpoint. Photographers at the scene said no one got out of the car before it went back in the direction of Jerusalem. It is not clear why the decision was made to turn back. Bethlehem is under Palestinian control and Israelis need permission to enter it. The Israeli military authority that coordinates West Bank access for foreign dignitaries confirmed it had received no request from Palin's team re a visit to the holy city of Jesus's birth, according to The London Independent. A visit to Israel, a key U.S. ally, has become almost a rite of passage for potential Republican candidates at a time of strained relations between the U.S. and Israeli governments. Israel is a key American ally in a volatile region and a top concern for Jewish voters and pro-Israel Christian groups in the U.S.
Netanyahu has had a rocky relationship with Mr Obama over Israel's settlement building in the West Bank and the lack of progress in peacemaking. Danon said the Republican candidates' embrace of Israel offers an alternative to Mr Obama's combative approach. With that single sentence made to her Israeli hosts, Sarah Palin demonstrated a greater understanding of the problems confronting Israel than the collective wisdom of all the J.D. 's, Ph.D's, and Masters of International Affairs in the Obama administration combined. The question was profound, as simple as it were, because it addressed the narrative of perpetual Palestinian victimization and grievance. She was accompanied by Danny Danon, a rightist deputy speaker of Parliament from the Likud Party and chairman of World Likud. Mr. Danon, a vocal proponent of settlement expansion and a sharp critic of the Obama administration, said on Monday that he and Ms. Palin discussed problems in the area relating to Muslims and the fact that Jews are barred from praying atop the Temple Mount. He was referring to the plateau above the Western Wall revered by Jews as the site where their ancient temples once stood, and by Muslims as the Haram al-Sharif, or Noble Sanctuary, the compound that now houses the Al Aksa Mosque and the golden Dome of the Rock. Mr. Danon said in a telephone interview that he and Ms. Palin did not discuss the settlement issue. But he said that he told her about the deadly Palestinian riots that broke out after Israel opened an exit to the tunnel in the Via Dolorosa in 1996. Some 70 Palestinians and 17 Israeli soldiers were killed in the violence; Israel had opened the exit surreptitiously, without coordinating with the Muslim authorities, in an area that is religiously and politically sensitive. The Old City lies in territory that Israel captured from Jordan in the 1967 war. Israel annexed that part of Jerusalem after the war, but the move was never internally recognized. Ms. Palin is strongly identified as the voice of the conservative Tea Partiers, some of whom want to cut American foreign aid, including to Israel, a major recipient. That might give pause to many Israelis. But asked about the aid issue, Mr. Danon said that he had “not heard anything like that” from Ms. Palin. Great pieces at Commentary Magazine here and here. 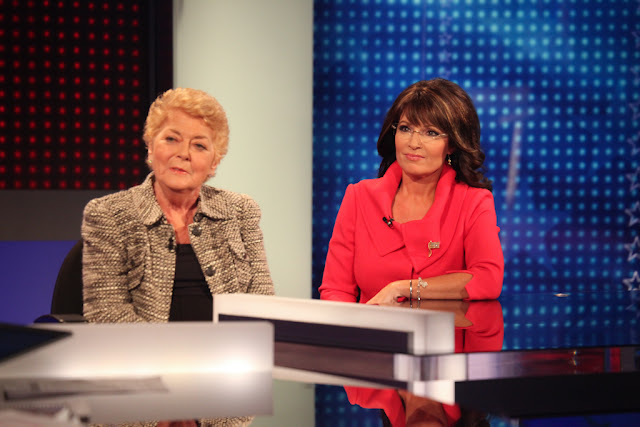 PalinTV has a compilation of all the video coverage of Palin's trip to Israel here. So Kathy Griffin is joking about supposed death threats delivered to her by supposed Palin supporters. Now, I personally don't know any Palin supporters who would do such a thing, but if you did, what are you, nuts? I don't care if the woman is scum walking, you don't threaten to kill her. Morons. 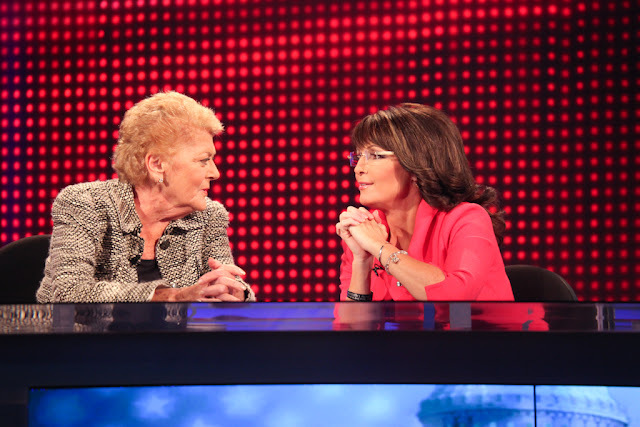 Tammy was generous enough to make this week's Palin Report public. This is a small snippet. You can listen to the whole report here. And if you're not already a member, be sure to join the Tammy Army. Sporting what appears to be a necklace with the Jewish symbol of a Star of David, the Alaska resident visited the Western Wall, the holiest place where Jews can pray. 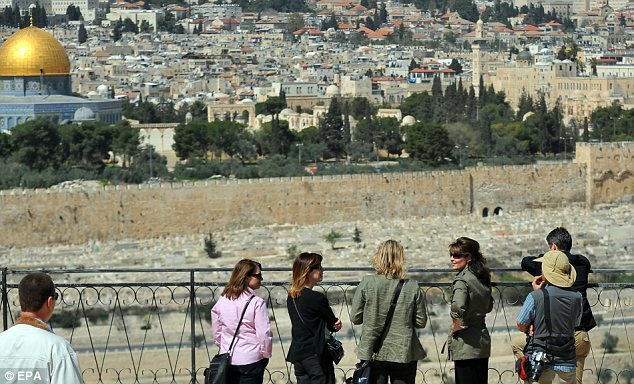 She also toured Jerusalem’s Old City and is scheduled to meet with Prime Minister Benjamin Netanyahu on Monday. Despite meeting with the country’s leader, she is technically traveling as a private citizen and has been coy about whether she hopes to be traveling as something other than that come 2012. World Likud chairman and Likud MK Danny Danon and Western Wall Rabbi Shmuel Rabinowitz served as Palin’s tour guides on Sunday night. Palin was told that Jews were not allowed to pray openly on the Temple Mount and about the Arab riots that accompanied Netanyahu’s decision to authorize the creation of an exit from the Western Wall tunnels in 1996. Rabinowitz said that Palin prayed at the point closest to the Holy of Holies and left a note with a personal prayer....“She said that she absolutely supports Israel and that America is the biggest friend that Israel has,” Rabinowitz said. Danon said that Palin’s visit to the Western Wall Tunnels was very exciting. “She really connected to the story of the Jewish nation,” Danon said. “She knows the material but there’s nothing like standing in front of those big stones and hearing about the connection. I know that she loves Israel, and after a visit like this, she has a personal connection to the Western Wall. “She didn’t go into diplomatic issues, but I can clearly say from the questions she asked in relation to our conflict here with the Muslims in these holy sites that she knows that we are right and that the Muslims are just claiming things for provocation and they’re not right,” Danon said. MK Danny Danon (Likud) and Kotel Rabbi Shmuel Rabinovich accompanied Palin on a tour of the Kotel and Kotel Tunnels. Danon asked Palin to try and convince world audiences that the blame for lack of progress on a peace agreement should be shifted to the PA's Mahmoud Abbas. "A leadership that churns out people who are capable of slitting children's throats as they sleep is the one that needs to prove that peace can be made with it. [U.S. President Barack] Obama's pressure on Netanyahu hurts Israel and its citizens," he added. Palin began her trip by visiting the Western Wall in Jerusalem, where she met with the Rabbi of the Western Wall, Shmuel Rabinovitch, who escorted her on part of her a tour. Rabinovitch said Palin obliged his request to not walk along the Western Wall square so as to not disturb the reading of the scrolls at the time. Rabinovitch mentioned that Palin shared her views on United States-Israel relations, saying she believes there are no disagreements between the two countries. She also voiced her "absolute" support of Israel. "We're happy to accommodate Jews and non-Jews visiting the Western Wall. You could feel Palin's love towards the people of Israel and her great interest in the story of Purim," said Rabinovitch. The former Alaskan governor is a possible candidate in the 2012 presidential election, and as such a visit to Israel has become an imperative stop on a candidate's way to the White House. She is also known for her enthusiastic support of Israel, even in difficult times. Palin's support of Israel is not new and/or shocking news. What is interesting is when you compare her pro-Israel stance and that of the last two GOP nominees, McCain and President Bush to the Anti-Israel stances of President Obama and the previous nominee Senator Kerry. If one is to be truly honest it is apparent that GOP has become pro-Israel party. 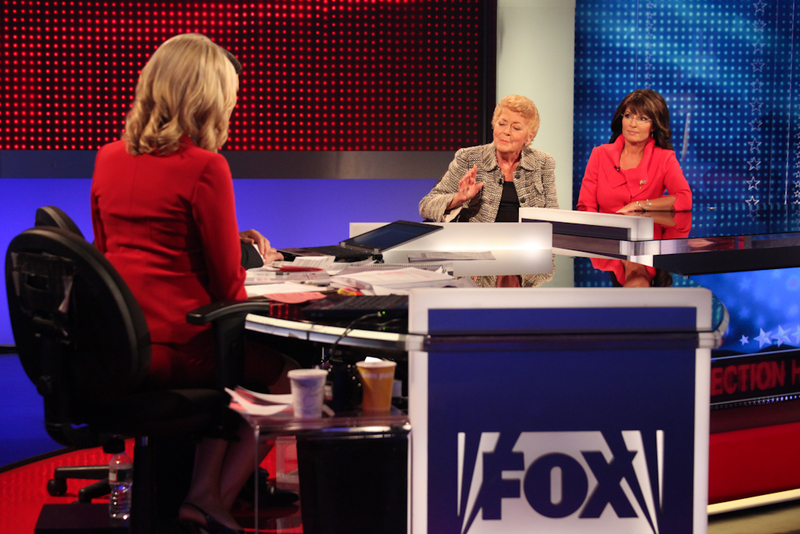 Aaron Klein will be on Fox and Friends tomorrow morning to talk about Palin's trip to Israel. Will update as more becomes available.